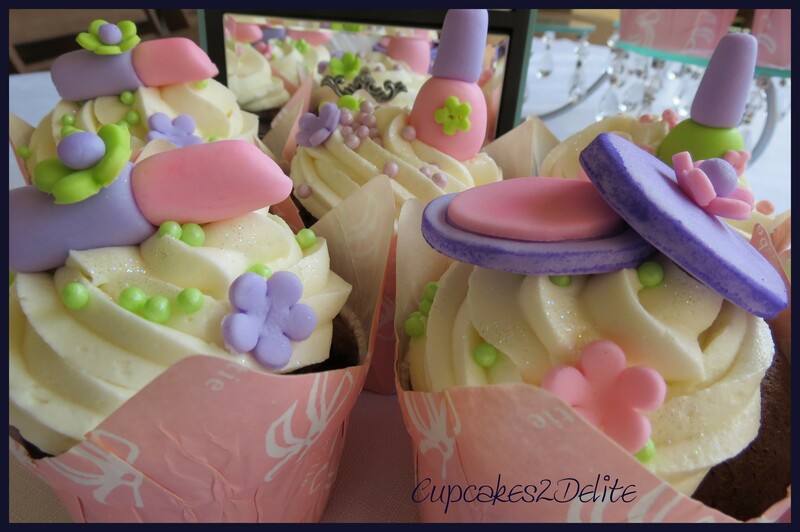 Thank you Debbie for your order of these delightful cupcakes for your daughter Megan. Megan is celebrating her 14th birthday and having a pyjama party for her friends. 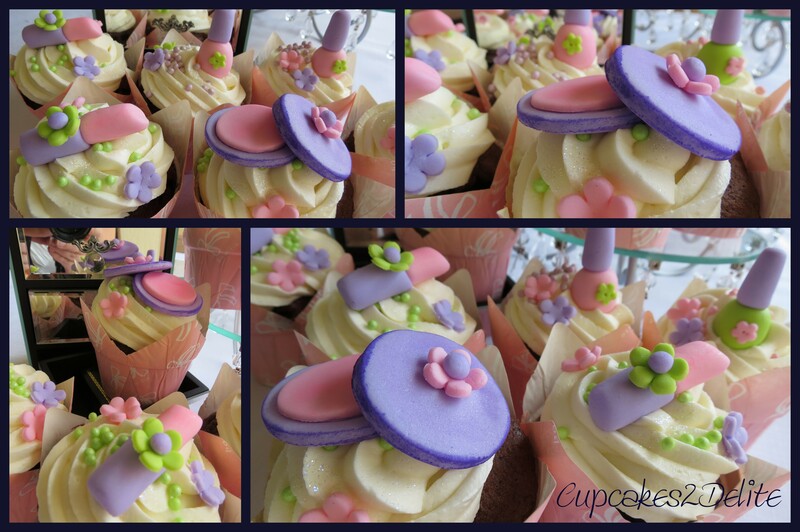 I made similar cupcakes last year for a pamper party so I was really excited when Megan chose a pink, lime green and lavender colour scheme for her cupcakes giving me a chance to do these cupcake toppers in different colours. I made pink sugarpaste lipsticks in lavender tubes and decorated them with a cute lime green flower. The eyeshadow palettes are also sugarpaste and were really easy to make using 2 different sized circular cutters. I decorated the lids with sugarpaste blossoms and brushed them with a satin finish. Every girl loves nail polish so I made green and pink nail polish bottles with lavender lids and miniature blossoms. Loads of green, pink and lavender sugar pearls complete these cupcakes and if you listen carefully you can almost hear the giggles of the girls who will be having fun celebrating with Megan tonight. ← Make a Raquet with these Cupcakes! Happy birthday to megan! beautiful cupcakes! yummy! Just what every girl would love!